Located in Gerrards Cross, Buckinghamshire, The Bull has intimate charm. Originally built as a coaching inn, its current interior is a mixture of contemporary and traditional elements, offering a venue for any occasion, from company conferences to team building events. The hotel features 13 meeting rooms in total, across four main suites, including the classic Bulstrode Suite, overlooking the hotel gardens, and the contemporary Thames Suite, with a private terrace and reception area. The Bull has the flexibility to host events from 10 to 200 people, with an experienced team of specialists at your disposal. 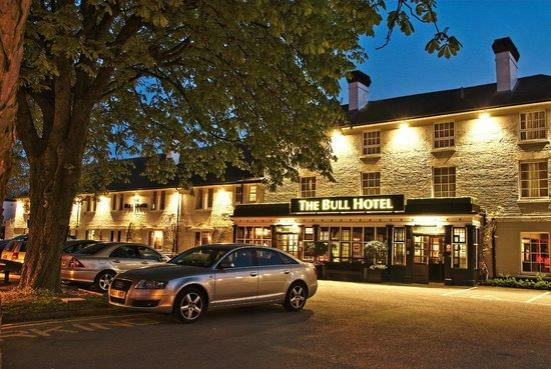 Conveniently located between junctions 1 and 2 of the M40 and close to the M25 and M1 motorways, The Bull is easily accessible, with guests benefiting from a complimentary car park. The hotel also features a total of 150 en-suite bedrooms with modern amenities. Public areas include the Beeches Restaurant, which serves classic English food with a modern twist, the Conservatory Lounge for a quick bite or drinks, and the traditional Jack Shrimpton Bar. Its beautifully landscaped gardens are ideal for various outdoor events, including small team building activities, outdoor receptions and barbecues. For creative team challenges, how about an archery session or team building afternoon? This hotel is ideal to be the host of your team building requirements and evening entertainment events.